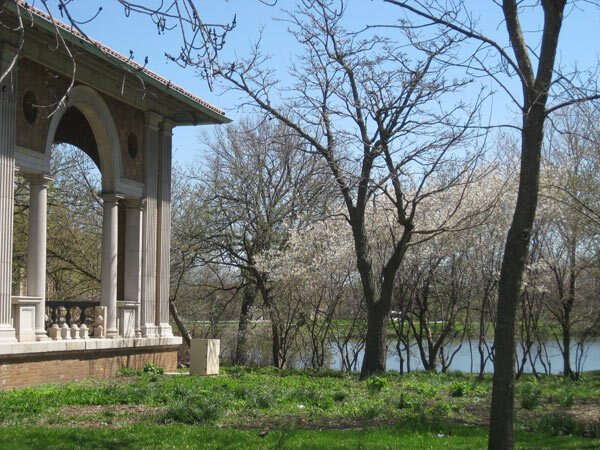 Unlike the other Chicago west parks, Columbus Park was created entirely by landscape architect Jens Jensen, who designed it between 1915 and 1920. 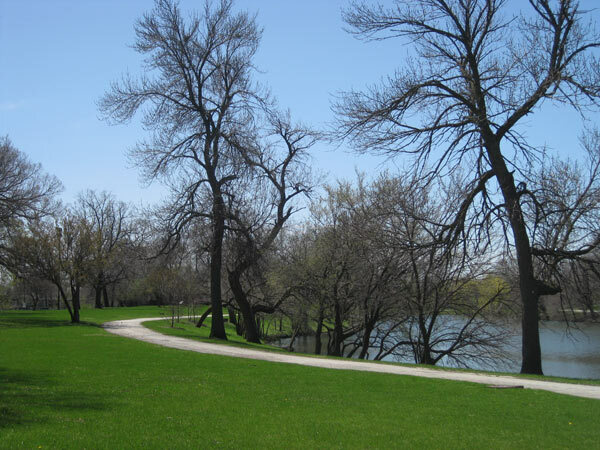 Representing the culmination of Jensen’s ideas, this Prairie Style park seven miles west of downtown is considered his public masterpiece. 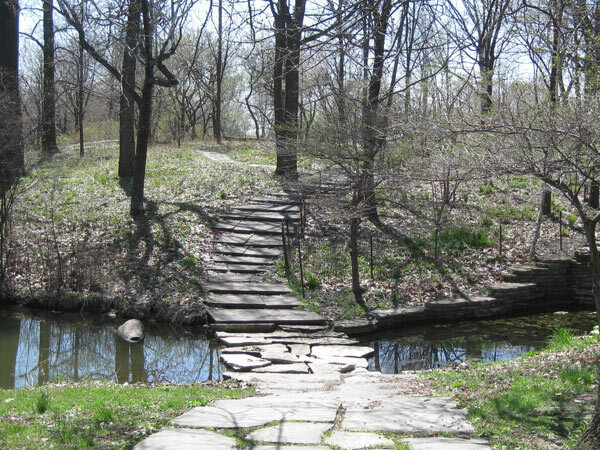 The 144-acre park includes a meandering lagoon designed to emulate a prairie river, complete with cascades and gentle waterfalls constructed of stratified stone. 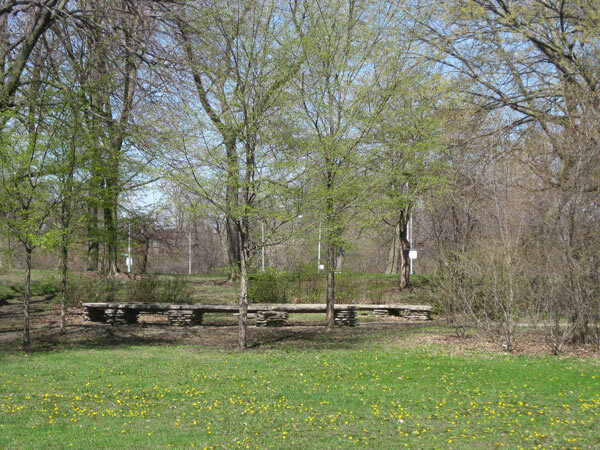 Native plants were used throughout, even at the player’s green where outdoor performances were held with backstage dressing rooms created with native vegetation. 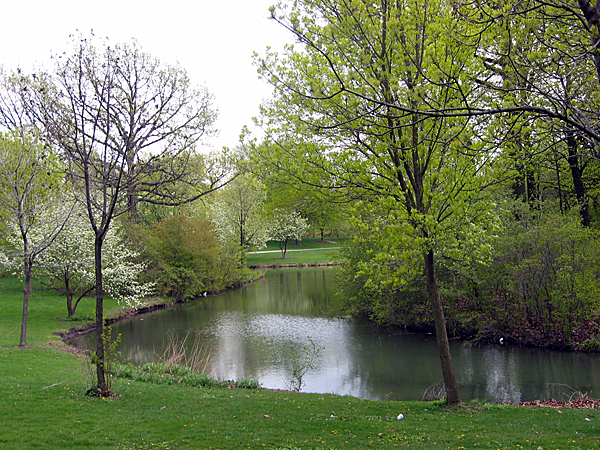 A nine-hole golf course pre-dating Jensen’s design was integrated into his plan. 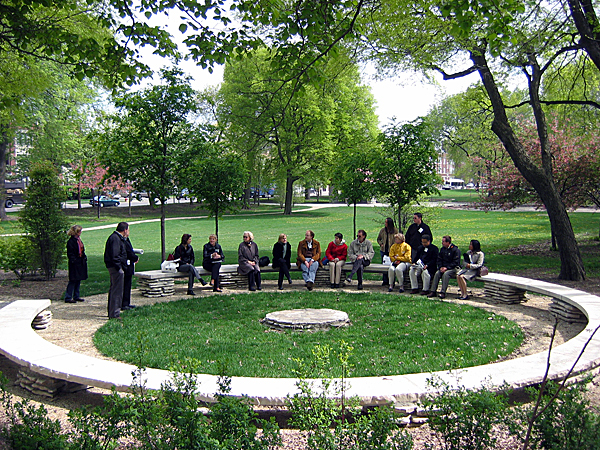 This is the only Chicago park designed by Jensen with his signature “council ring,” a circular stone bench for storytelling or contemplation. 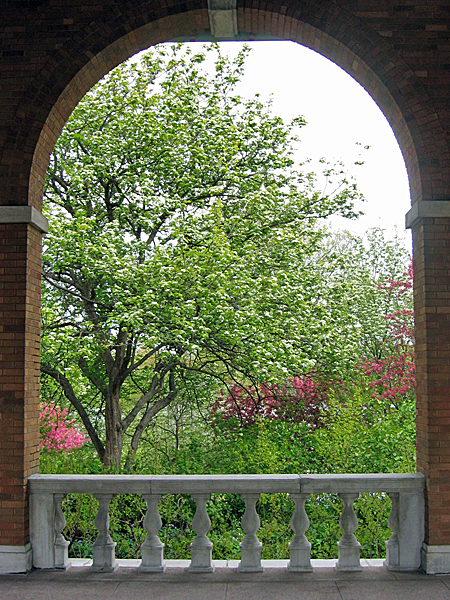 A Mediterranean Revival style refectory was added in 1922. 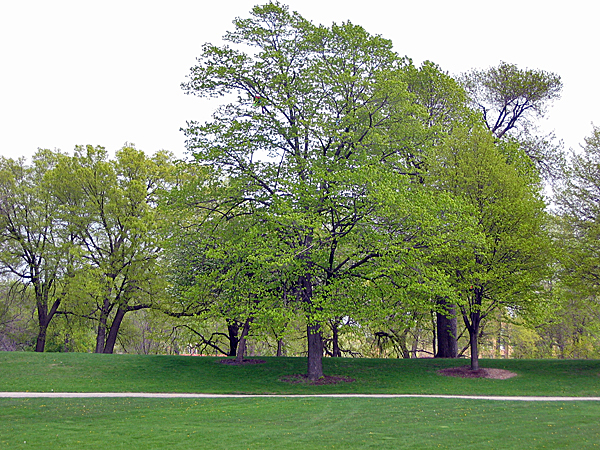 In 1953, nine acres of parkland were surrendered to the Eisenhower Expressway. 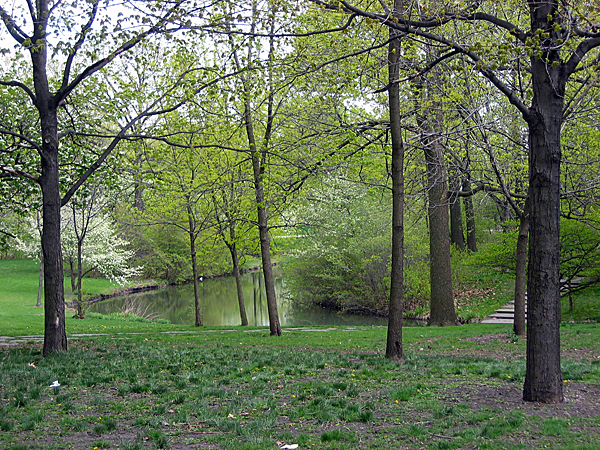 The park was listed in the National Register of Historic Places in 1991 and designated a National Historic Landmark in 2003.